How do I write on the virtual whiteboard? Online tutoring means that your child and I will work on math problems through the computer. It’s the wave of the future! Nowadays, one kid is better with technology than 25 adults, combined. In this day and age, kids are growing up with technology – and it’s no exaggeration that the majority of kids have technology in theirs hands before they can even walk! 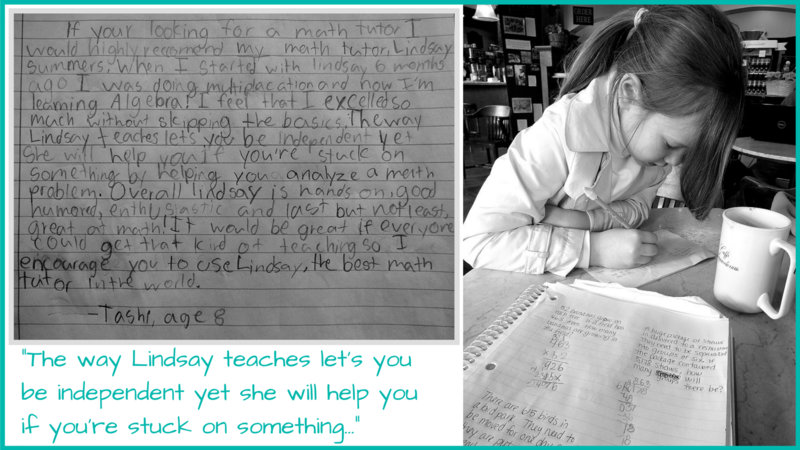 Online tutoring is a fun, interactive, and engaging way for children to learn mathematics! It is also very flexible and tailored to exactly what the student needs at any given time. 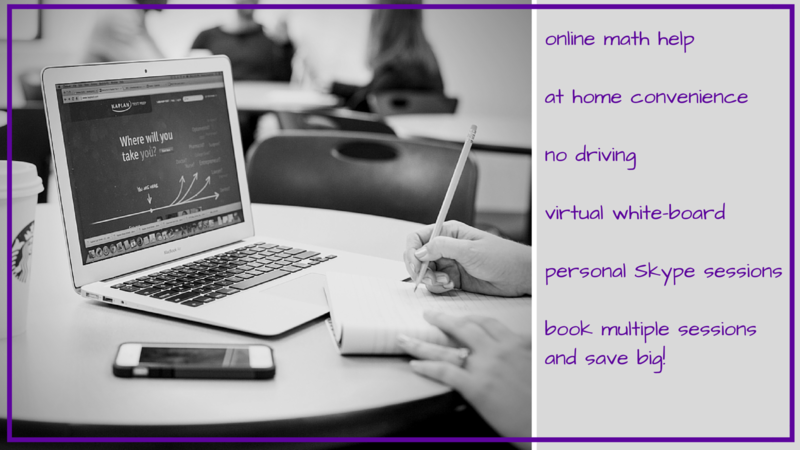 Private Tutor to Online Tutor! I have been a private tutor and home school teacher for years (originally a public school teacher). Now, instead of meeting face-to-face like I used to, I decided to move with the ever changing technology. I have tutored for many years, so I understand what students need. 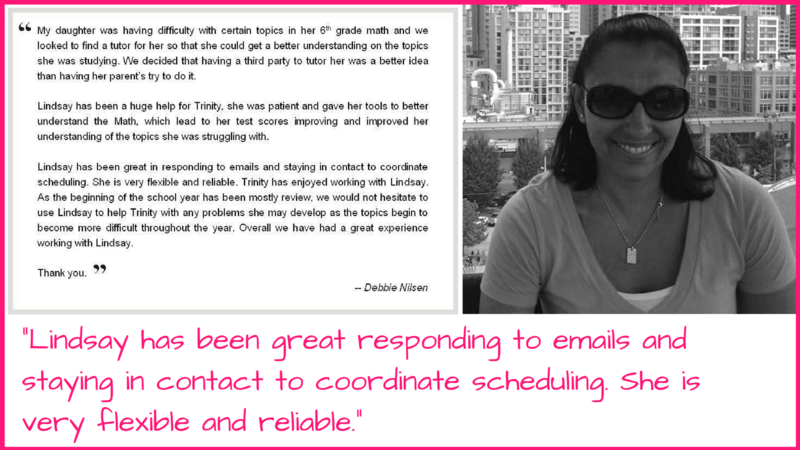 I have also researched a LOT before making the transition from face-to-face-tutoring to online-tutoring. I honestly believe that the system I created (with a personalized webpage) is the best method of online math help and tutoring. Like I said from the beginning: online tutoring is a fun, interactive, and engaging way for children to learn mathematics! It is also very flexible and tailored to exactly what the student needs at any given time. 01| PreTest Assessment and Adaptive Practice Problems – below (in the getting started section), you will find a link to a PreTest. This will help me determine where to start with each student – no student is the same! I want to give every student the exact attention he/she needs in the specific areas he/she struggles with. 03| A Personalized Virtual Whiteboard – This is the most fun and my favorite to play with! Each student will have his/her very own virtual-whiteboard where he/she can write down notes, do the homework, and practice with me (in real-time)! If I’m logged on at the same time, I can see exactly what the student is writing and see exactly where in the problem the misconceptions begin. If I check the whiteboard after the student did the problem, I can correct it just like a teacher would correct a homework assignment or a test. The whiteboard automatically saves everything (no need to remember to hit a “save” button) and the student can access this whiteboard at any time! What’s even more amazing about each board is that only the student and myself can edit the math problems written on the whiteboard… so even if the student happens lose the piece of paper the URL is written on and someone else finds it and then decides to go to the web address – only the student can access his/her account (by logging in with his/her email). 04| A Personalized Chatroom – Along with the virtual-whiteboard, is a chatroom! Again, only the one allowed student can write questions in the chat and I’ll answer them as quickly as possible. This is great for homework help if the student just has a quick question about something they might not have fully understood in class. 05| Document and Image Uploader – To make the question and answer process even easier, there are more great tools with the whiteboard and chatroom. If a student has a document or image that he/she would like to share with me (instead of typing out a whole worksheet), simply Drag-and-Drop the document or image into the chat! Online colaboration has never been easier! 06| Khan Academy (Website) – Khan Academy is a great resource for anyone (and it’s free), but having a personal math coach is even better. When a student has me as a coach on KA, I can send recommended assignments, see which problems the student had trouble with, how long it took to complete each problem, which videos were watched, etc. I then take this information provided by KA and tailor the lessons and assignments to meet the student’s needs. 07| Online Activities – Games, videos, assignments in KA, etc. will all be used for learning. Depending on what the student needs, is what I will recommend (through the student’s personalized webpage). 08| Unlimited Homework Help! 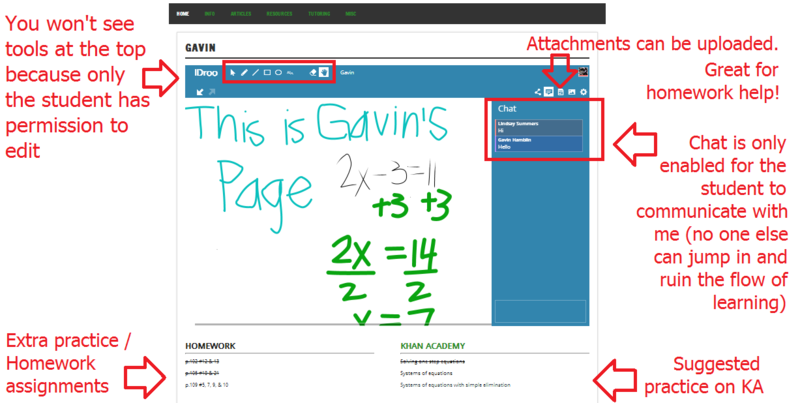 With the whiteboard and chatroom, it makes it super easy to answer any questions a student might have with assignments from school. All the student would have to do is access his/her own webpage, and start working (write down the problem, try it, ask questions in the chatroom, etc.). Then, the next time I’m on the computer, I will check each student’s page; any page with work or questions, I will answer and give other example problems to help students better understand. 09| Personally suggested YouTube videos – Tailor picked videos in order to help students understand new material. 10| WhatsApp (App) – a messaging app (just like text messaging), but with much much more! Super easy and fun, students and parents will feel comfortable touching base with me on a regular basis and WhatsApp has all the tools necessary to convey any point. 11| Other Apps to promote learning – I carefully select which apps to use with students for the best learning experience. Apps must be easy to use, free, and include an option to share a direct screenshot through WhatsApp so that the student can easily send me his/her work (if he/she chooses to try work on the smart phone. Otherwise, students are more than welcome to use paper and pencil for problems and send me picture of their work). 12| Skype Sessions – Allow the student and me to easily touch base and communicate. Just like if a student were to call a friend for homework help, but 100 times better. The student and I will be talking (just like we would be on the phone), while using the whiteboard and other resources to collaborate. Also, Skype has a “share screen” option – so if I student is having technical difficulties with the computer, the screen can easily be flipped so that I can see exactly what the student is seeing (to better assist with any problems). How do I write on the virtual-whiteboard? 01| Tablets – I have the Wacom Bamboo Tablet which allows me to write just like if I were to write with pen and paper, but it pops up on my computer screen. I’m sure there are other tablets that exist other than by Wacom that are just as good. 02| Touch Screen – If you have a touch-screen computer or a touch-screen tablet (like an iPad), that will also work! Simply use your finger to write on the whiteboard. Does your son/daughter have access to a computer? If the student has time, click here for a student pre-test and include it in the email so that I can assess the student’s weaknesses. Share the post "ONLINE TUTORING"